Welcome to Day 64 of 100 Days of Disney here on The Purple Pumpkin Blog! Be sure to check out all of the other posts in this series, and if you would like to share your own Disney blog posts or pictures, make sure you check out the #100DaysOfDisney Link Party! If you are staying at a Disney resort hotel, your room will be serviced each day by Mousekeeping. It is not required to, but it is nice for the Mousekeeper to receive a tip. After asking around, it would seem that $1 per person, per day is the norm, so we’ve exchanged pounds into dollars and have our $3 per day tip ready! As somewhere nice to keep each days tip, instead of just leaving it on the side, I’ve made some Mousekeeping Tip Envelopes. We’ll put one out each day (the rest will go in the safe) and do our bit for spreading the magic! To download the Mousekeeping Tip Envelopes just click the image below! They are really simple to put together – you don’t even need glue! Just a little sticker to seal them at the back. Although, if you want to glue the flaps in place, feel free! I’ve created 14 different designs, so perfect for a 2 week Disney holiday – plus a spare one – just in case! When I’ve made mine (my printer is out of ink!) I’ll come back and add the finished article for you to see! 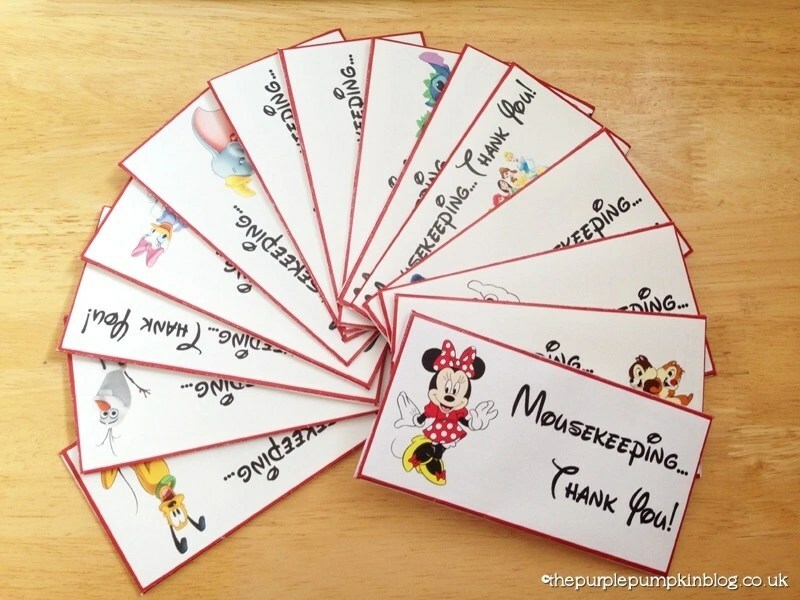 I hope that you are able to make use of these Mousekeeping Tip Envelopes! Day 64 of #100DaysOfDisney is done – 36 to go!